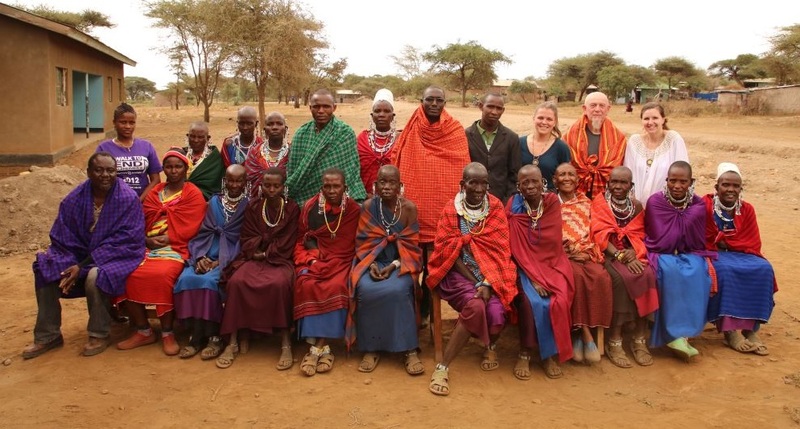 Master of Public Health (MPH) distance student and Dr. James Rossiter MPH Practicum Award recipient Desneige Meyer spent her summer with Green Hope Organization in Tanzania, Africa, working to improve maternal health outcomes in the nomadic Maasai tribe. This summer I completed my practicum at the Green Hope Organisation in Arusha, Tanzania. As the Social Determinants of Health are fundamental to health improvements in this developing nation, Green Hope bridges practical economic and training gaps with vulnerable populations. Street-engaged youth, HIV and AIDS patients, early school-leavers and poor women and children are all clients of this NGO. One indigenous group, the Maasai tribe of the Ngorongoro Conservation Area (NCA), are at particular risk. They live highly nomadic, pastoral lifestyles, building temporary mud homes around seasonal water sources. As a whole, they are marginalized and suffer poor health due to a variety of factors including severe food insecurity, transportation and economic poverty, a strict adherence to traditional practices, and a grave lack of educational and health services in their isolated, rural region. Of particular concern are poor maternal and child health (MCH) outcomes. As the Maasai typically do not access mainstream medical service, Green Hope provides annual midwifery health training to the Maasai traditional birth attendants (TBAs) in the NCA. In preparation for the workshop we delivered this summer, we conducted an informal needs assessment. We interviewed three consulting doctors, Maasai cultural experts and the district medical officer entrenched in the community, in addition to the TBAs themselves. Ultimately we developed and delivered a workshop to the TBAs consistent with their most urgent training needs. Throughout the workshop we identified numerous barriers to improved Maasai MCH care, chiefly maternal malnutrition and, to our surprise, TBA poverty. Training alone cannot address these impairments. To further champion MCH goals with this population, I was given the privilege to research, collaborate and build a program model to link and potentially mitigate both challenges. The resulting proposed program, a TBA-run agri-health cooperative business, would help empower the impoverished TBAs while incentivizing mainstream antenatal care by distributing whole food baskets to maternity patients. Being entrusted to use my entrepreneurial background to design and propose a new program was by far the most enriching project of my practicum. My practicum supervisor and I have submitted the program proposal to several funding agencies, and should financing be granted, I will return to Tanzania to help implement the program. International health programming does not always follow the same path as our more bureaucratic Canadian methods. In my practicum this often caused frustrations, but very frequently meant greater responsibility and a richer, deeper, learning experience. Furthermore, because there are so many parallels between the Maasai and our Canadian First Nations communities, I believe this practicum has greatly strengthened my credibility in building a public health career here in Canada. Receiving the Dr. James Rossiter MPH Practicum Award allowed me the freedom to focus on my work in Africa rather than my bills in Canada. Mitigating much of the costs I incurred during the practicum has allowed me to continue full-time studies this academic year rather than stalling to repay debt. I hope this scholarship opportunity encourages future students to pursue their biggest practicum aspirations, as it did for me. By Desneige Meyer, MPH candidate.